Another Highly Recommended mix from Omega:NYC. For anyone not familiar with the series, this mix and the two others are dedicated to Pipomixes. That's my brother and other half of the Blending Nation crew. We have been crafting mixes since the early 2000's and have been building our individual styles throughout that timeframe. Pipo and I are 78ers and 2016 marks our 38th birthdays. 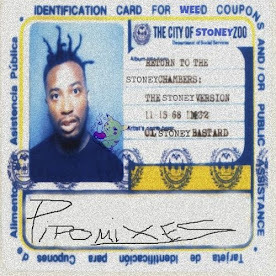 Chamber 36 and 37 are posted to my TestPressPromoOnly page because those mixes represent styles that Pipo has mastered. 38 Special is raw and 100% OmegaNyc. As with most of my mixes, there is not a track list. My mixes tell a story. The theme for this mix is simple; shed tears. Crying tears of joy, sorrow or even pain is natural. Don't lie to yourself people we all cry. RZA sampled a track that sings, "after the laughter come tears". Apollo Brown dropped Thirty Eight in 2014 and that album also exhibits a similar theme. Both producers have beats on this project. Prodigy of Mobb Deep is hands down one of the best MC's spitting that real and it should not surprise you that he is one of our favorites. So is Roc Marci and KA. All three MC’s have tracks on this mix. But do not hesitate to recognize that Hip-Hop has layers and so does 38 Special. Too Short and Andre 3000 get reworked into the mix and I even throw a nod to Bad Boy Records in light of the 20th anniversary. As with all the mixes I craft, it was fun! Peace to everyone who listens to my mixes. I do this for the love and to keep the craft alive. 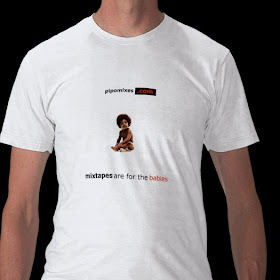 To Pipo, enjoy the mix!